Recreation and relaxation can be found just outside your door at Club View at Spring Ford, a luxurious carriage home neighborhood by W.B. Homes. The all-new floorplans at Club View are catered to fit your perfect lifestyle, featuring 1st or 2nd floor owner's suites, 3-4 bedrooms, 2-car garages, and much more. 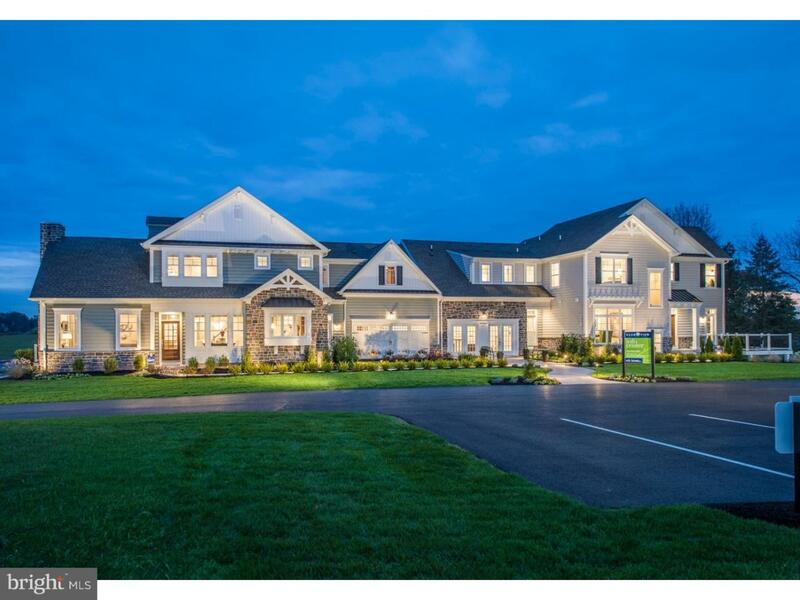 This new construction neighborhood located at 126 Country Club Road will feature 84 carriage-style homes on 27 acres, adjacent to the prestigious Spring Ford Country Club and preserved farmland. Spring Ford Country Club was established in 1924 as a gathering place for socializing and participating in outdoor exercise. It's now one of the region's strongest tests in golf and boasts a classic clubhouse and extensive amenities such as an Aquatic Center featuring a top-notch swimming pool on a 10,000-square-foot patio area. Club View will be part of a luxurious neighborhood with golf-course views, manicured landscapes and a scenic streetscape just minutes from Providence Town Center in Collegeville, PA. To be built: Airy and inviting, the open-concept design of the Monterey offers the best in master down living. The expansive 1st floor owner's suite is the ideal pace to unwind, featuring coffered ceiling details, a large walk-in closet, and luxurious owner's bath with oversized shower. In the main living area, the gourmet kitchen is the center of attention with its impressive kitchen island, furniture grade cabinetry, and triple box window above the sink. Nearby, the great room features a relaxing fireplace and dramatic 2-story ceiling. Upstairs, the second floor includes 2 additional bedrooms, spacious loft, second full bath, and a large unfinished space for convenient storage.